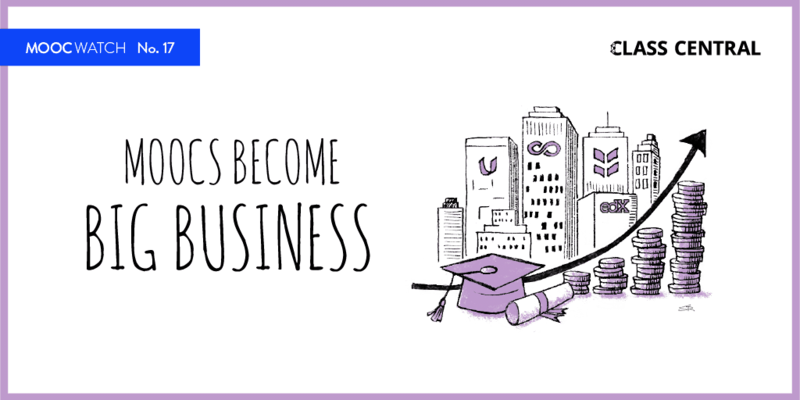 Early this month, Coursera announced six new online degrees at their partner’s conference, including a B.S. in Computer Science from University of London. 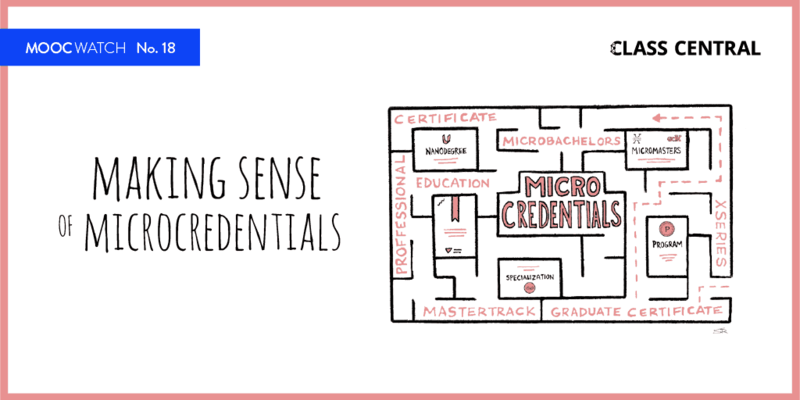 At the same time, Coursera announced another micro-credential called MasterTrack. 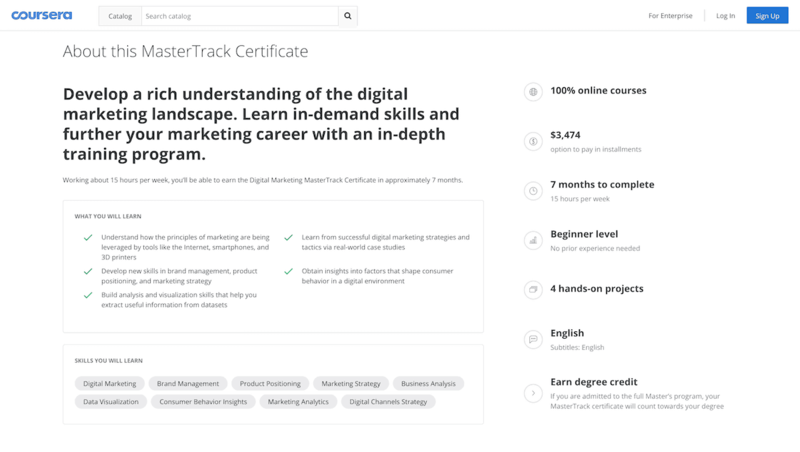 The MasterTrack is quite similar to edX’s MicroMasters program. 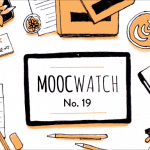 Both these micro-credentials allow learners to earn credit towards a Master’s Degree. Students still need to apply and get accepted into the Master’s program to redeem the credits. The MicroMasters programs range in price from $540 to $1,500, with the median price being $946. The three MasterTrack programs announced so far are priced as follows: $2,000, $2,316, and $3,474. While courses that are part of MicroMasters are free to take, this may not be true for Coursera’s MasterTrack. The FAQ says that the courses which are part of the MasterTrack are not free. However, the individual courses which are part of University of Illinois’ Digital Marketing MasterTrack™ are currently free to take. These courses have been available on Coursera for a while now and have been bundled into a MasterTrack. Four real-world hands-on projects have also been added. The other two MasterTrack certificates are from University of Michigan: Construction Engineering and Management and Instructional Design. Below is a complete list of edX’s MicroMasters and their prices. 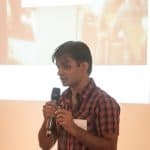 My target is 200 top universities , 100 online courses toward degrees per university, total 20.000 online courses toward degrees same as oncampus courses by the same professor reaching to 10.000.000 enrollment in 5-6 years .Price per course $ 200-400 per course . Consortioms among universities . So same courses should not be given by 2 even 3 universities . At least another 5 million enrollments from other countries . No Federal Loans . Economy will prosper . = $ 28 BILLION online income OR $ 140 million per university . Credentials of online students must be very close to oncampus students . Otherwise whole system would fail . Are these prices per course or per micro degree . If it is per course sorry , they became wild capitalists again . I ask people not to register at all .